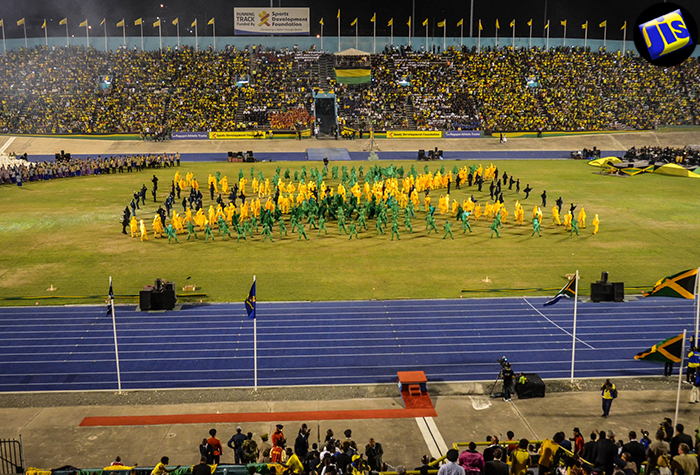 Scene from Grand Gala Jamaica 50. Preparations are well advanced at the National Stadium in Kingston, for the staging of the 2016 Independence Grand Gala on Saturday, August 6. In an effort to safeguard vehicles parked across the road from the National Stadium, a chain-linked fence was erected around the area. Major Brown tells JIS News that management of the car park is being carried out in collaboraton with members from nearby communities who work as security personnel. General Manager of Independence Park Limited (IPL), Major Desmon Brown, tells JIS News that plans are being finalised with officials of the Jamaica Cultural Development Commission (JCDC), an agency of the Ministry of Culture, Gender, Entertainment and Sport, as it relates to the positioning of tents, availability of bathroom and changing facilities and the protection of the tracks. “We have to find out what their plans are because every year it is a little different, so those are the things we finalise; where we have to cover the tracks, how many people will be in and where they need to put tents,” he notes. Major Brown says IPL has also embarked on some innovative ways to improve conditions at the facility to ensure that patrons are comfortable. In an effort to safeguard vehicles parked across the road from the National Stadium, a chain-linked fence was erected around the area. Funding for this project has been provided by the Kingston and St. Andrew Corporation (KSAC). Major Brown points out that since the installation of the fence earlier this year, car thefts have been reduced at the Stadium. “I think we are doing a very good job of managing the car park and ensuring that people’s cars don’t get broken into. It was giving us a very bad name and people were shying away from coming to events here. If the place is not fenced, you cannot manage it; so we fenced it,” he says. 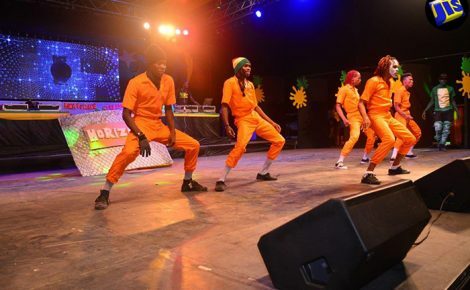 “We have developed a relationship with all the communities around us and so we use them for major events. We still have a few incidents… but it has seriously been reduced,” he adds. Major Brown says the IPL has installed an electronic directional sign at the main gate of the sporting complex to indicate which gate persons should enter for various events at the facility. “People will know what gates to enter. There will not be any advertising on it. It is just a directional sign,” he adds. 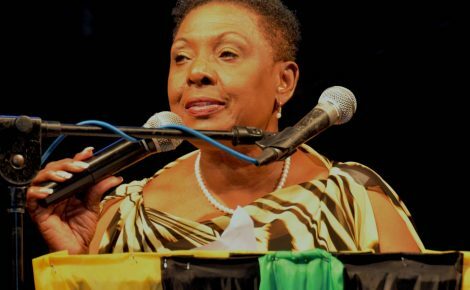 Major Brown says a proposal to refurbish the stadium, built in 1962, has been submitted to the Ministry of Culture, Gender, Entertainment and Sport. “We have a $40-million budget plan to refurbish the stadium and bring it into modern times. That is still in discussion,” he notes. “The stadium has long passed its useful life. It does not meet many of the international standards, nor some of the local standards, as when this stadium was built, a lot of what is required now was not in place, such as anti-doping and media facilities,” Major Brown adds. He says there is need to improve the bathroom, media and broadcast facilities at the stadium. In an effort to have a proper anti-doping area at the facility, he points out that two changing rooms were converted into an anti-doping restricted area. “So, all of those things we have to do if we want to maintain and ensure that we can host international events. We are hoping that we can get the funding and bring it in line,” he adds. Meanwhile, next door at the National Arena, rehabilitation work valued at some $60 million is under way. Major Brown says the Ministry of Finance and Planning and the Tourism Enhancement Fund (TEF) have allocated $30 million each towards the project. 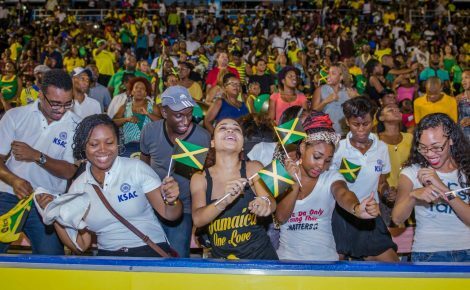 “We did some work on the ceiling and we did minimal work on the bathrooms,” he said, noting that work was completed in time for the staging of the Jamaica Manufacturers’ Association (JMA)/Jamaica Exporters’ Association (JEA) exposition in April this year. Major Brown tells JIS News that the air-conditioning system will be upgraded and repairs carried out on the floor and rollaway seats. The walls and countertops of the bathrooms will be replaced. The National Arena, built in 1966 to host the weightlifting and wrestling events of the 1966 Commonwealth Games, is used for a wide range of activities, including sporting tournaments, trade exhibitions, flower shows and national festival competitions.